Chanel is known for being one of the most iconic luxury designers of our time. Well known for their exceptional handbag line, they boast such releases as the Double Flap, the Boy Bag and the Wallet on Chain (WOC). 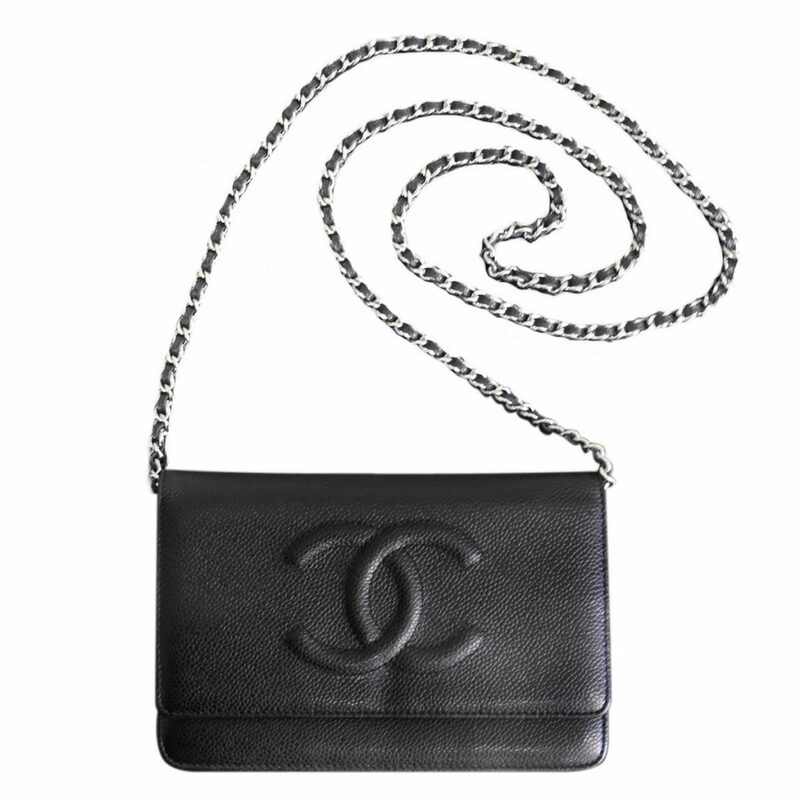 This article will explore the Chanel brand and some of the designer’s more popular handbag releases with a spotlight on the Wallet on Chain design. The story of Chanel began in 1909 when Gabrielle (Coco) Chanel opened a millinery store on the ground floor of the Parisian flat of Etienne Balsan, her then lover. Because the flat doubled as a salon for the French elite, Chanel had the opportunity to cater her designs to the upper class. Her hat designs immediately became popular and she was soon able to branch out making other articles of clothing and accessories. 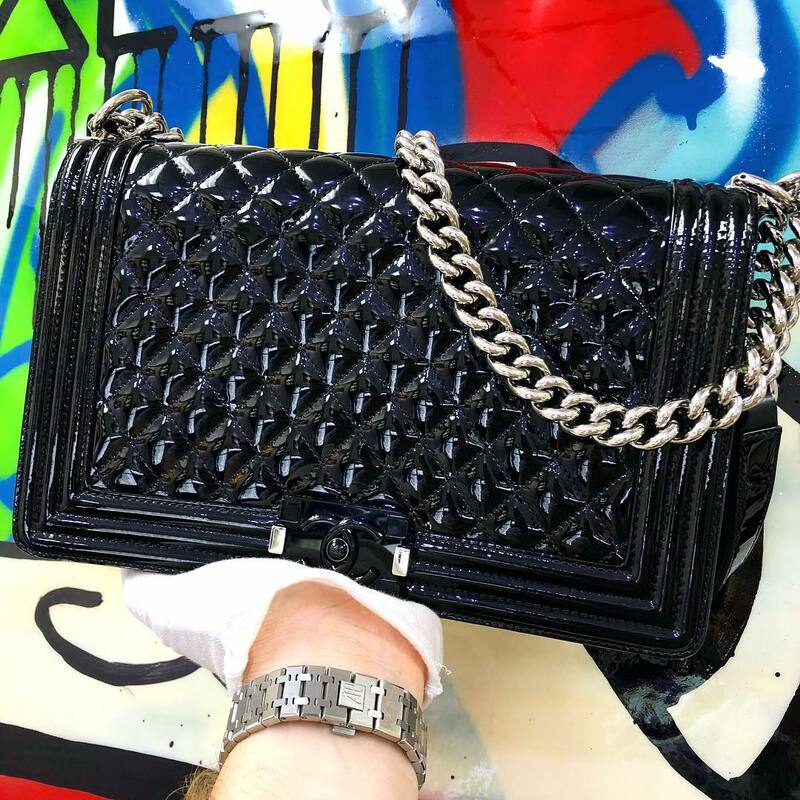 Although the Chanel brand would go on to be one of the most innovative in high fashion, they are particularly well known for creating the first handbag with a shoulder strap. 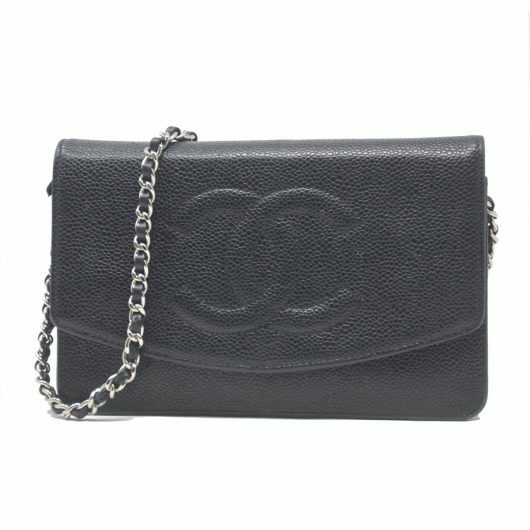 This came out in 1955 when Ms. Chanel grew tired of having to carry her bulky bag in hand. The 2.55 bag would put an end to this discomfort changing the fashion industry forever. The 2.55 was a game changer, but another purse to feature an innovative design is the Wallet on Chain. Exactly, what it sounds like, the WOC provides owners a way to store on their most valuable necessities in an easy, high fashion way. Those of us who prefer a bag we need to live out of may want to opt for a larger tote, but on the go types who wish to simplify will love these elegant little purses. That being said, these bags are roomier than you would think. Here are some of its features. The bag closes with a popper flap. On the inside of the flap is a zip pocket that stretches down to the back of the bag. Inside the bag is a small pouch that is great for coupons and receipts. Another zipped pocket featured is perfect for carrying change while the tight pouch is ideal for cash. The WOC has six slots for credit cards. There is also a big compartment in the bag where you can fit your phone, lip balm, ear phones and keys. Most famous of all the compartments is the secret pocket which is zipped into the back of the bag. As you can see, you can fit all the necessities of your life into this wallet and everything is organized and easy to find. Another great feature of the bag is its versatile chain strap which is 24 inches long. It can be worn in four different ways. One option is to wear the strap at full length on one shoulder or across the body. It can also be doubled up to make a shorter shoulder strap. You can loop it through the flap to wear is at a more casual length or tuck it away completely to wear it as a clutch. The bag measures 7.5 inches wide, 5 inches in height and 1.5 inches when expanded. If you buy the WOC new, it will come in a little personalized Chanel black box in a little dust bag with its own cleaning cloth. A style number and bar code will be on the side of the box. They also come with an authenticity card or sticker. Although you should be educated on the proper cleaning and care of the purse, it will be ready to wear without any prior care. Most leathers it features are robust and do not scratch easily. There are different styles, colors and leathers available for the WOC. You can get the sleek Sevruga design which is a less expensive model. The quilted is a bit pricier although exotic leathers top the list where price points are concerned. Other styles include the Camelia which is embossed with a unique floral print. The Half Moon features a crescent shape. The Cambon and Reissue are both quilted styles that differ slightly in shape. The Timeless comes in both quilted and unquilted versions. The WOC also comes in a variety of leathers. The lambskin is lovely but tends to get stained or scratched easily. Patent leather may be the better choice if you think your purse might end up getting ruined. Caviar leather is another sturdy option and typically features small bumps on the material. The purse can feature a gold or silver strap or hardware and comes in a variety of colors ranging from black to white and cream to bold pinks, blues and greens. Is the WOC Worth It? As with any luxury purse, if you are looking to purchase a WOC, you can expect to pay a pretty penny. If you look on the Chanel web site, these beauties generally start at around $2500 and go up to around the $6000 range although they do offer a special Alligator and Gold model priced at $22,000. Of course, you can expect to pay more for models featuring precious gems and metals and limited edition runs. All this begs the question, is the WOC worth it? The WOC admittedly, is not for every woman. If you can’t leave the house without your full makeup bag, notebooks, pens pencils and whatever else, this on the go style will not appeal to you. But those that appreciate the simple luxury the purse offers and the convenience of having only our necessary belongings easily on hand, may find the WOC to be the purse of their dreams. Owners of the purse love its effortless fashion and its ability to compliment casual styles as well as evening wear. Others appreciate its value. 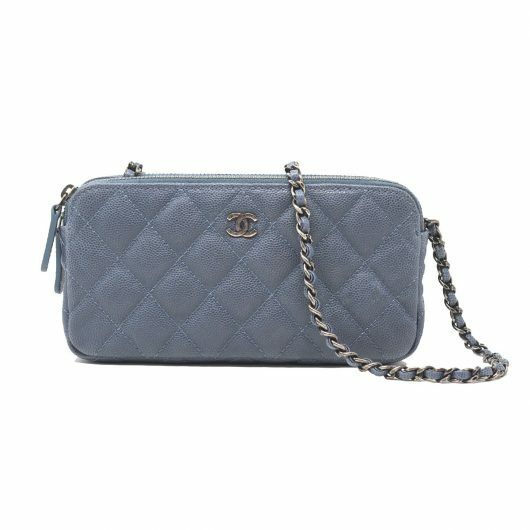 If you’re looking for a Chanel bag, this is one of the cheaper models but can also be a great investment if you decide to resell. And, although the lack of space may be one reason the model is cheaper than some of the others, it is roomier than you would think. Because of all its hidden pockets and compartments, some claim it can fit as much in it as a medium classic flap bag, even though it’s about half the price. The versatility is another strong selling point. The strap can be worn in a variety of ways and the purse itself can actually be carried as a purse or stored inside a larger handbag to be used as a wallet. 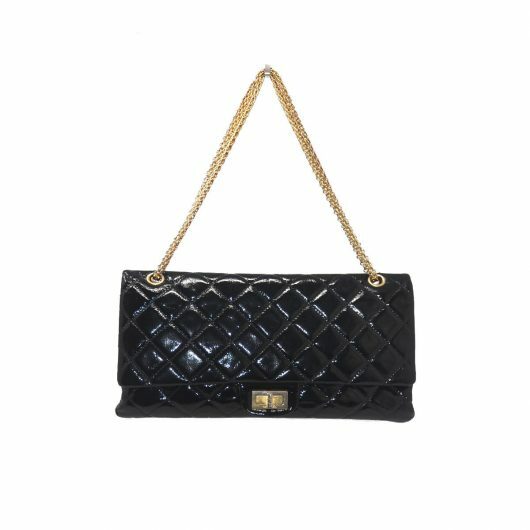 Chanel Classic Double Flap Bag: Double flap bags are defined by an exterior flap closure and an interior flap compartment. 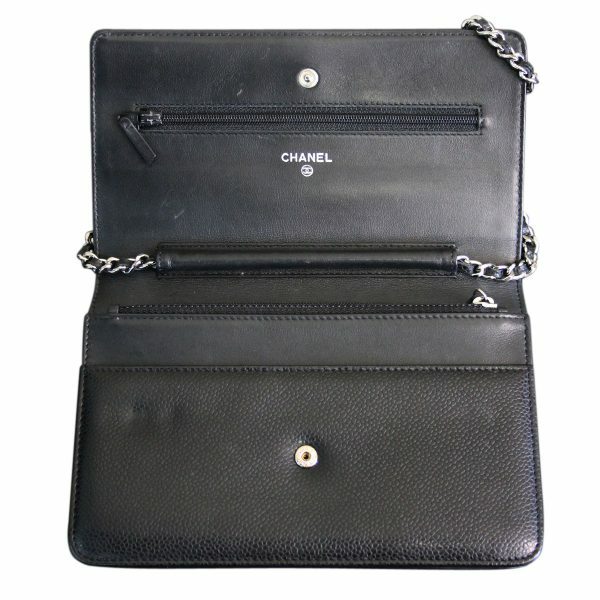 The Chanel Double Flap can feature a mini, medium or maxi flap and is known for its classic, minimalist features. It is the most easily recognized of all Chanel purses and grows in price and popularity every year. The Chanel Boy Bag: Chanel loved to mix masculinity and femininity into her designs. The Boy Bag was inspired by her lover at the time, Arthur Cappel, who was nicknamed ‘Boy’. Like the Double Flap, the Boy Bag is also classic and minimalist, but it’s completely fold over flap manages to give it an even more androgynous look. The 2.55 Bag: As mentioned previously in this article, the 2.55 bag is most iconic due to the fact that it was the first ever shoulder bag to make an appearance. It bores a classic appearance and was reissued in 2005 in commemoration of its 50th anniversary. Highly sought after, the purse increases in popularity and price as the years go on. The Grand Shopping Tote: In modern times, some women may need a bag that is larger in size to accommodate their many belongings. Chanel saw that need and responded with the Grand Tote, a purse that manages to be both elegant and roomy at the same time. The bag was immensely popular but was, for some reason, discontinued. The bag’s limited edition status makes it even more desirable and it is one of the most coveted bags on the pre-owned designer handbag market. The WOC, like any other luxury bag, can make for a great investment. These highly sought after items are very much in demand on the second hand market and you can definitely make good money if you decide to sell yours. However, it is likely that you have grown an attachment to your purse and never want to part with it! But if you find yourself in a cash crunch, this may seem like an irresistible option! So what’s a person to do? Well, did you know there are ways you can get cash for your luxury items without selling them? Pawn shops are known for buying luxury items, but they can also provide loans for them. All you have to do is take your item into a pawn shop. They will appraise it and offer you a loan. The loan will not be for the full amount of your item, but approximately 60 – 70% of its total worth. If you agree to the amount of the loan, a payment plan will be set up. Terms of your plan may vary, but basically, you can expect to be making regular payments on your loan which will include the amount of the loan, interest and other fees. Once the loan is paid off, you will get your item back. If you are unable to pay off your loan, the shop will keep your item, but you will never end up having the unpaid amount go into collections or show up as an unfavorable mark on your credit. If you decide to put up your luxury item up for a loan, you should do a bit of research before selecting the pawn shop you want to do business with. Some pawn shops offer higher values and lower interest rates than others. If you are in the South Florida area, and looking for a pawn shop that will offer you high values and low interest rates, look no further than Boca Raton Pawn. They always treat their customers fairly making it easy for them to leave their financial woes behind with great loans and affordable payment plans. But it doesn’t end there! Boca Raton Pawn also offers great service making sure customers are in and out of their shop quickly and that they can leave with cash in hand. Their knowledge of luxury makes them aware of exactly what your item is worth and ensures they will treat your belongings with the utmost of care while they are in the shop’s possession. Also, because they know how sensitive your financial information can be, they offer private appointments upon request. 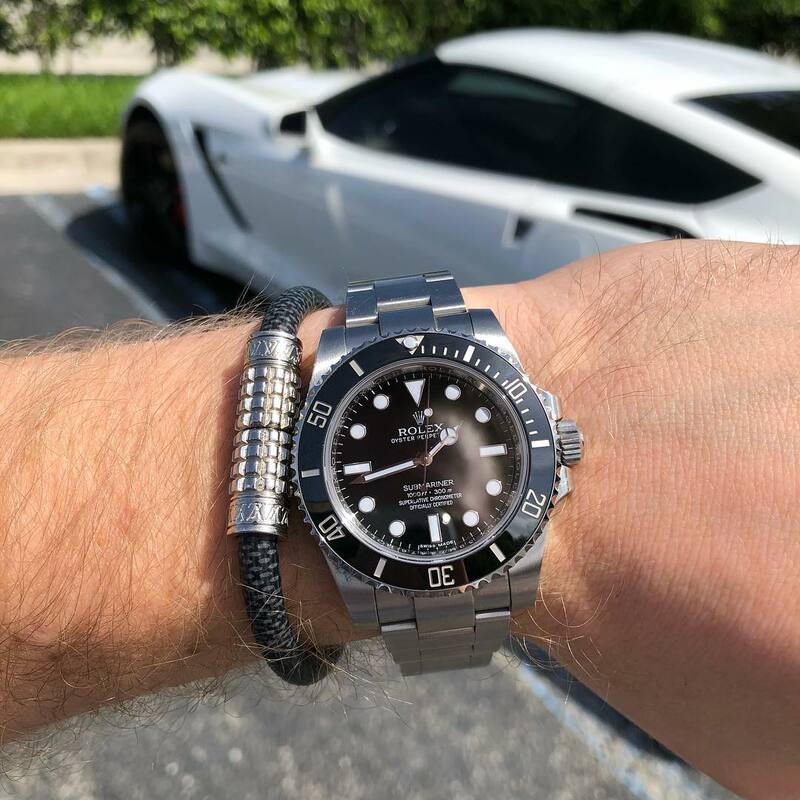 If you do decide to choose Boca Raton Pawn as a source for a loan on your luxury item, you should be aware that they deal in luxury watches, jewelry and purses and there are certain brands they are more likely to accept than others. Check their web site in advance to see if your item is one they are likely to buy. This will help your transaction run smoothly. 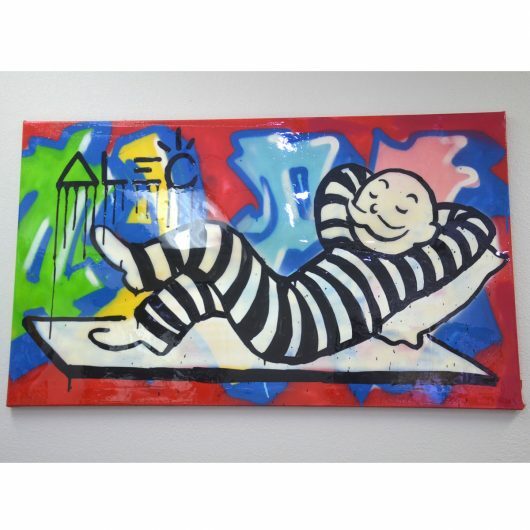 And Boca Raton Pawn is also a great place to buy luxury items. They always have a wide selection available at great discount prices. Not in the South Florida area? No worries! You can shop on their web site to have their discount luxury items delivered directly to your door! So come down to BRP to buy, sell or get a loan. We are here to help you get out of your financial crisis and make the luxury items of your dreams a reality. We hope to see you soon!